Want to dress up your Event? 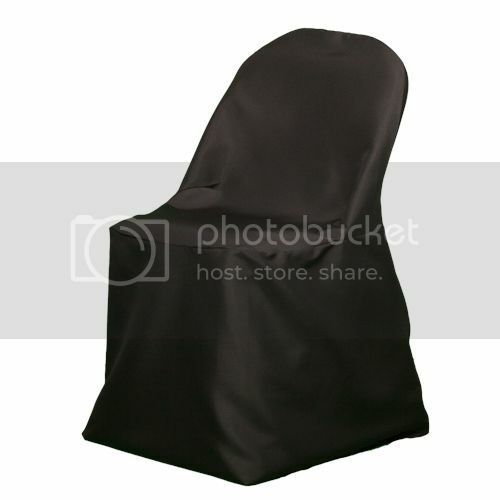 Why not choose an effortless way to cover up a traditional folding style chair with our Richland Folding Chair Covers. 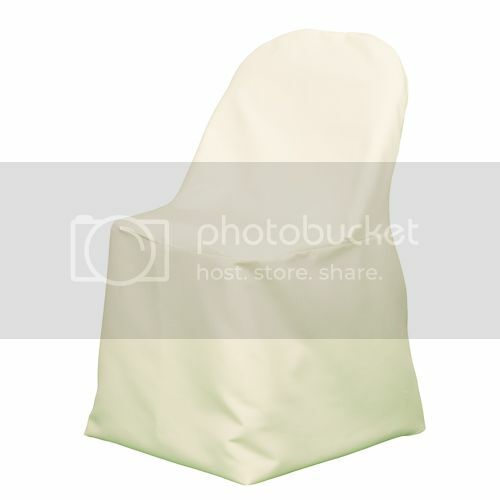 Made of 100% durable polyester, these fabulous chair covers in white, ivory, or black can instantly make your room feel softer and more inviting for your guests. Simply slide them over the Folding Chairs and in moments your look will be complete! Perfect addition to Wedding Receptions, Church Banquets, Corporate events, or large parties! Dress up your whole event with Richland linens from table cloths, napkins, runners, and chair covers! What will this look like on my chair? 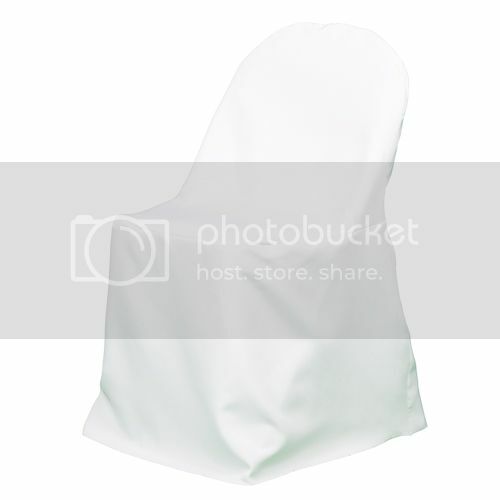 White Folding Chair Cover on a folding chair. Lace Table Runner Bird Motif 13" wide x 96"